As fall turns into winter, the full Gemini moon has us thinking, over thinking, reminiscing, ruminating and rummaging through our minds like irritating gremlins. This is The Turning. It slows us down to enjoy the snuggly winter months. Yet, first we must pare down and dump the unnecessary accumulation of outworn ideas, goals, people, places and things. This winter is especially important as we are being challenged to mature spiritually. 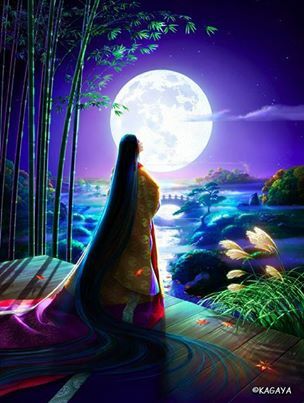 This moon illuminates the reunion of humanity and nature, heaven and earth. 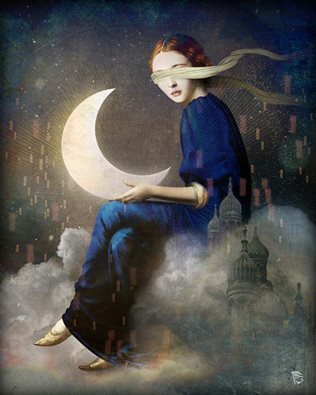 This full Gemini moon tests our resolve to remain focused yet go with the flow and trust our inner guidance. Sagittarius is the gateway to our evolutionary goals and it is here that we refine ourselves and connect with Spirit. Let us embrace The Turning as a time to renew our being, as a time to became more of ourselves, as a time to honor what has gone before, what is Now and what may come. Let us calm the mind and go within as much as possible over the next two week period. Let random acts of kindness fill our days. As we move into the New Moon in Scorpio phase, it would be wise to remember that this time has been called The Reckoning. It is an extremely karmic phase that cleans out the cobwebs and clutter from our lives and may very well slice right thru 2020 in some ways. We are evolving, moving with Gaia up through the energetic dimensions to reach the Golden Age. We are entering a dynamic growth period yet we must move through some upheaval first. This new moon in Scorpio is preparing us for a deepening of purpose. Renewed commitment. Steadfastness amidst The Reckoning. For those who have prepared emotionally for this crucial time, great blessings will wash over us. We are well placed to help others understand and maneuver in these somewhat kaotic times. Connecting with our Angelic Guidance Systems (AGS) as much as possible through meditation, nature contemplation, yoga and water is necessary, comforting and powerful. For those of us experiencing fierce power struggles personally, professionally and globally, extending calmness into these situations is the order of the day. The major question of this extended phase is ~ Where do I place my energy? Prioritize. Connecting with our AGS brings about miracles and ease. Let us flow into the abundant NOW!